IDC members and partners in Africa have recognised the importance of information sharing to successfully manage migration without the use of detention. Alternatives to detention include practices, policies and laws that allow all kinds of migrants to live and support themselves in a community, with freedom of movement, while their immigration status is being resolved. Danielle Botti, Coordinator at the Regional Mixed Migration Secretariat (RMMS), East and Horn of Africa has said that “research and analysis about alternatives to detention, as well as alternatives to unsafe migration, is critical”. RMMS supports agencies with guidance from IOM, UNHCR, DRC, the Swiss Agency for Development and Cooperation (SDC), Intersos, IGAD and the EU delegation to Kenya. In response to this need, the IDC has set up a research series presenting region-specific case studies of alternatives to detention. The research is intended to encourage civil society and government actors to pilot alternatives, including increasing safe migration pathways that manage and resolve cases in a fair, timely and humane manner. The IDC’s latest report – to be published in April – contains new descriptions of alternatives to detention currently operating in an expanded selection of 32 African countries. The report highlights that unnecessary detention is prevalent in the region. It details the fact that detention is detrimental and costly for both governments and migrants themselves, with alternatives to detention being up to 80% less expensive than immigration detention. “Understanding more about what risks and circumstances people face at all stages of the journey is important” says Botti. The countries surveyed in the report include those experiencing “transit” migration, those hosting large numbers of refugees, asylum seekers or irregular migrants, and those with limited resources available to manage such populations. 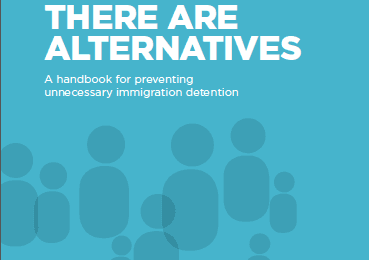 The alternatives described include those implemented to prevent detention at all stages of a migration procedure, including upon arrival, during processing of migration-related claims, or when preparing for departure. 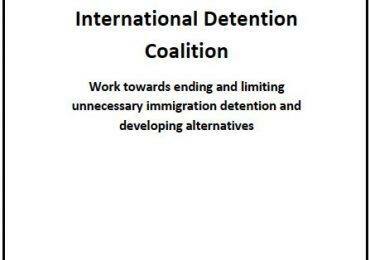 The IDC is glad to be contributing to this conversational shift, uncovering and promoting alternatives to immigration detention that allow migrants to remain healthy and act as contributing members of the communities in which they settle, pass through or originate from. We applaud the efforts of governments offering registration amnesties to irregular migrants and temporary work permits to asylum seekers and refugees. The report will be launched on 26th April 2018 at the African Commission for Human and Peoples Rights (ACHPR)’s 62nd Ordinary Session in Nouakchott, Mauritania. The IDC will run a side event on alternatives to detention identified across the African continent that are more humane, less expensive and more efficient at achieving case resolution according to the IDC’s ten-year programme of research. The first publication in the series “Mapping Alternatives to Detention in Africa” was “Alternatives to Immigration Detention in Africa, 2015-2016” which detailed legislation, policies and practices related to immigration detention, including child detention, and alternatives to detention, in six countries: Egypt, Kenya, Libya, South Africa, Tanzania and Zambia.